Porter Novelli has partnered with Curry, Wellborn, & Battcher to launch a specialty service for college and professional athletic programs called AIM Sports Reputation Management. NEW YORK: Porter Novelli has partnered with Curry, Wellborn, & Battcher to launch a specialty service for college and professional athletic programs called AIM Sports Reputation Management. The service is focused on providing sports organizations help in terms of leadership, ethics, and brand management to prevent reputational threats. 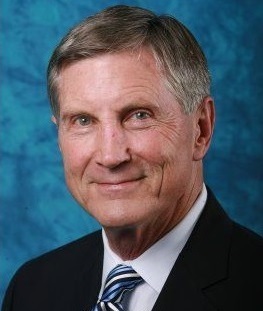 Bill Curry, former NFL player, NCAA coach, and ESPN analyst, founded Curry, Wellborn, & Battcher last August with Jeff Battcher, who previously ran his own sports marketing agency, and attorney Pete Wellborn. The firm works with clients on leadership training, crisis communications management, and help with various corporate, educational, and sports-related comms issues. On Wednesday, Curry and Brian Frederick, VP of public affairs at Porter, launched the specialty service within the Omnicom agency’s crisis communications offering. Staffers from across Porter’s global network will work on the service, as well as all three founders of Curry, Wellborn & Battcher. The firms have been in discussions about the service since last September. Curry said the first goal of the group is to articulate what it can offer college and professional sports organizations and what differentiates it from competitors. "We want to establish ourselves as a legitimate force that can provide services that can really help them monitor and protect their reputation by dealing with the substance of who they are," he explained. In addition to helping sports organizations prevent potential threats to their brands, AIM will work with them to manage their reputations and mitigate any issues that do arise. The specialty service will offer clients help with leadership development, crisis preparedness and management, social media auditing, real-time social media and news monitoring, spokesperson media training, media relations efforts, and coach and administrator consulting. AIM is not working with any schools or organizations at the moment, but Frederick said the specialty offering has been in talks with potential clients. "The key phrase is the integrity of the brand," said Curry. "Universities and departments of athletics have lost their way. It’s not in the mission statements of universities to compete with professional sports for the entertainment dollars, but that’s exactly what is happening, so to reorient those things is really easy to talk about and tough to do, but we have the elements to get that done." AIM is an acronym, Curry said, with the A standing for "advise," the I for "integrated," and the M for "manage." This story was updated on March 26 with comments from Curry and Frederick.